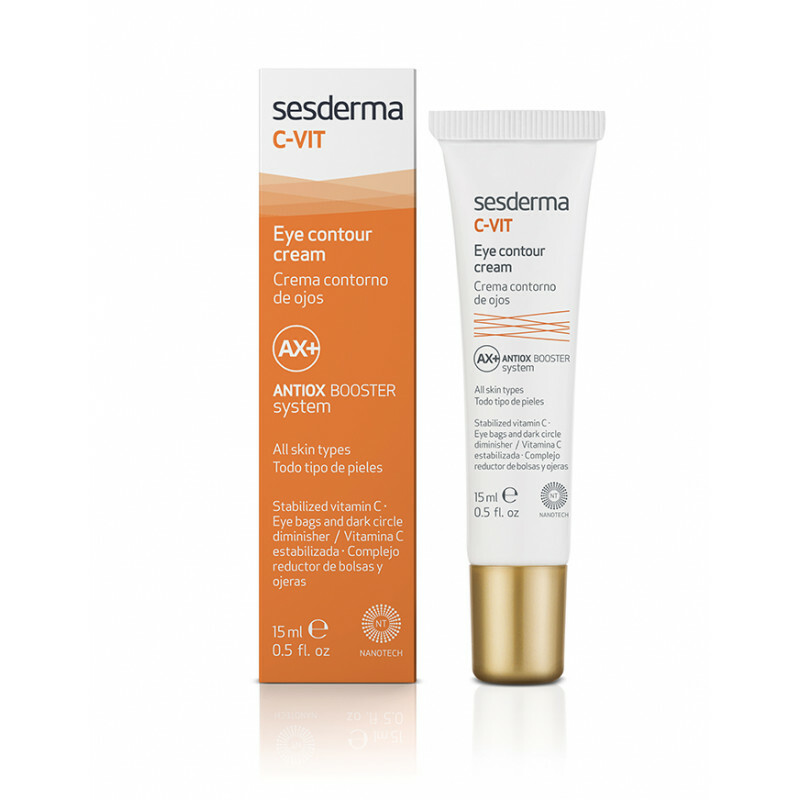 Hydration and protection of the eye area. 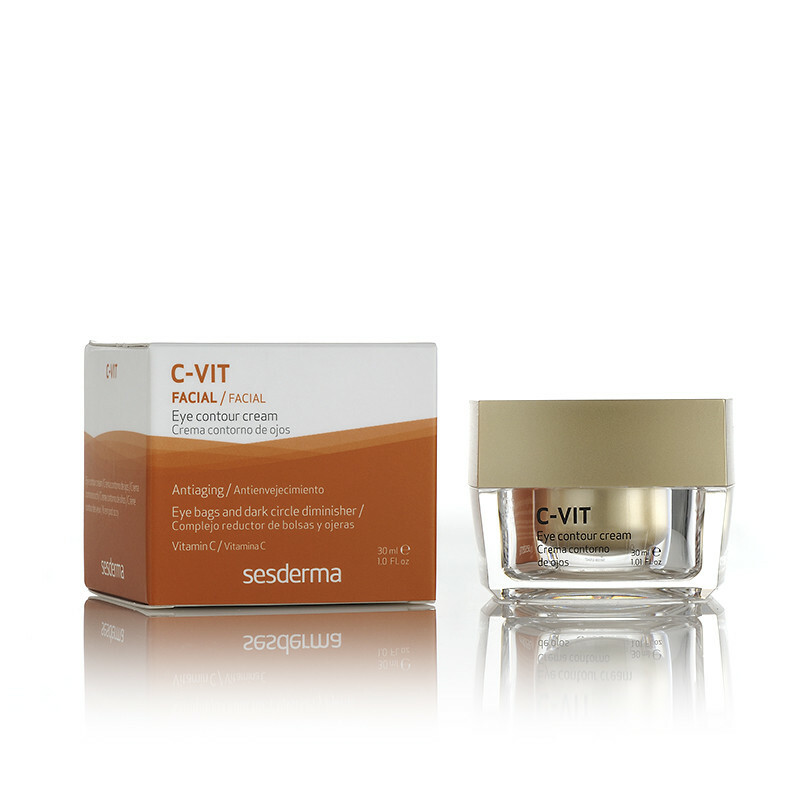 Treatment and prevention of wrinkles, crow's feet, puffiness, dark circles, dryness and signs of fatigue. Recommended for all skin types. 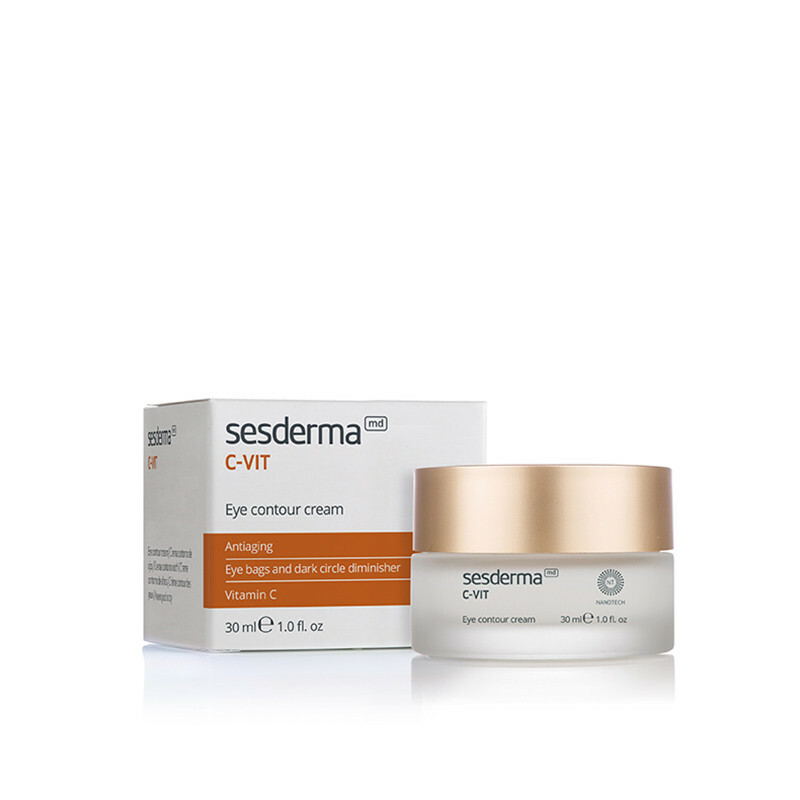 The skin around the eyes is very thin and delicate, so you need a specific care to keep it moisturized and protected. 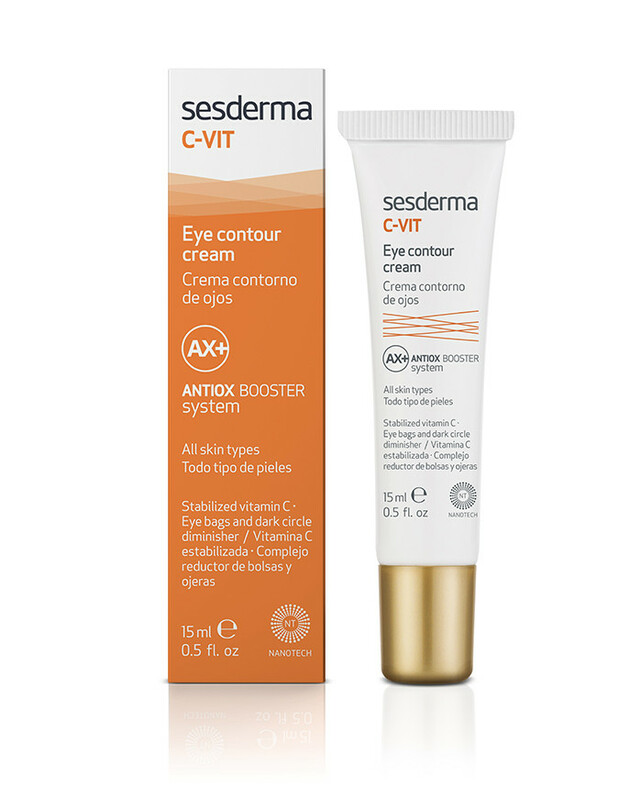 C-Vit Eye Contour Cream is a light emulsion that incorporates an efficient combination of assets: The sweet orange extract favors the penetration of all other active ingredients, while providing Vitamin C. This contribution is reinforced by the presence of ascorbyl glucoside, an innovative form of vitamin C that has greater stability and a more prolonged effect on the skin than standard Vitamin C. Through this combination we reinforce the antioxidant action and stimulate collagen synthesis in the fibroblasts, making the skin around the eyes gain a greater smoothness and resistance. 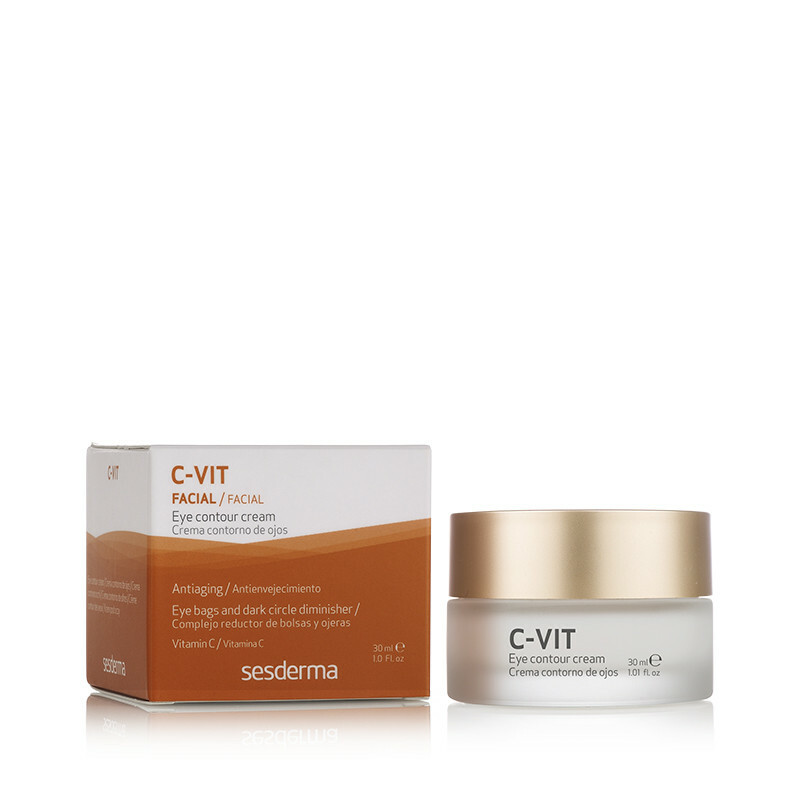 Inhibits the production of melanin, which favors the homogenization of the skin tone. 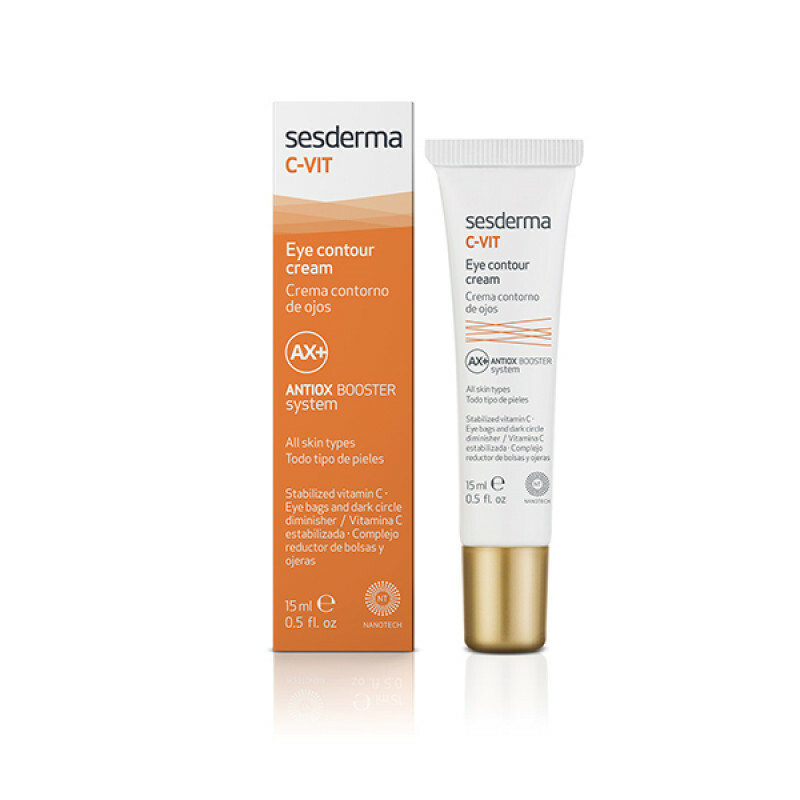 The Complex that reduces puffiness and dark circles with organic silicon and sweet clover extract reduces the dark tone under the eyes, strengthens the connective tissue matrix (collagen and elastin) gene protected from oxidative damage caused by free radicals, firms and decongests the treated areas, helping to improve the appearance of puffiness and dark circles around the eyes. 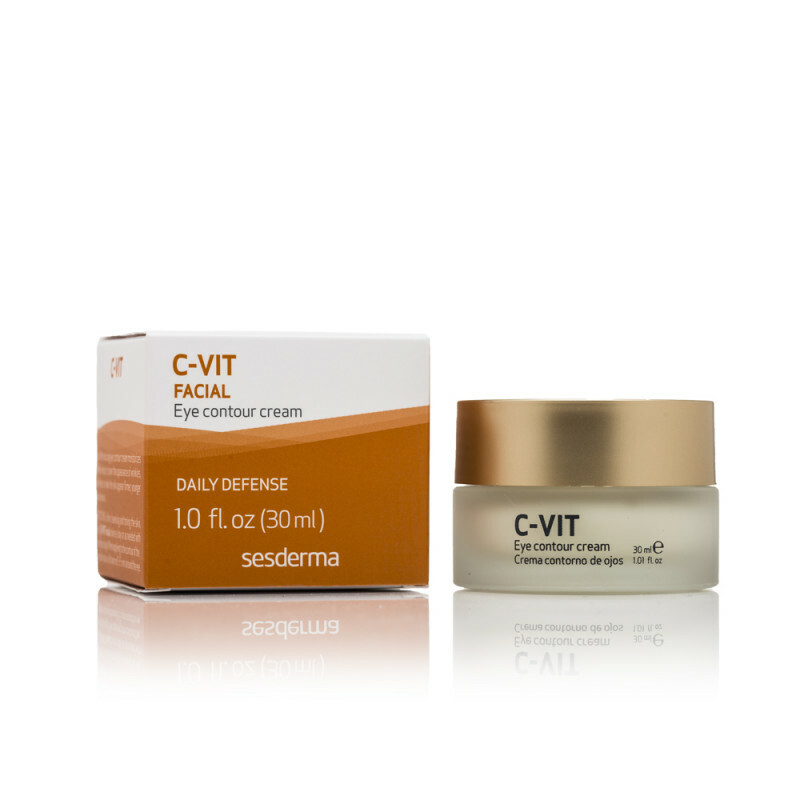 C-Vit Eye Contour Cream attenuates the signs of fatigue and crow's feet, reduces puffiness and dark circles, brings light to the eye and gives the skin all its vitality. Ascorbyl glucoside 2%, 6% reducing complex circles, silicon organic sweet orange extract. Take a small amount of product, apply with fingertips to the eye area (from inside to outside) with some gentle touches. 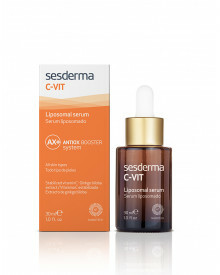 You can apply it in the morning and / or evening.